Donna, known on Instagram as @ardentlylovebooks, has a high-powered job in engineering, but her true passion is books and reading, which are slightly different things to her. 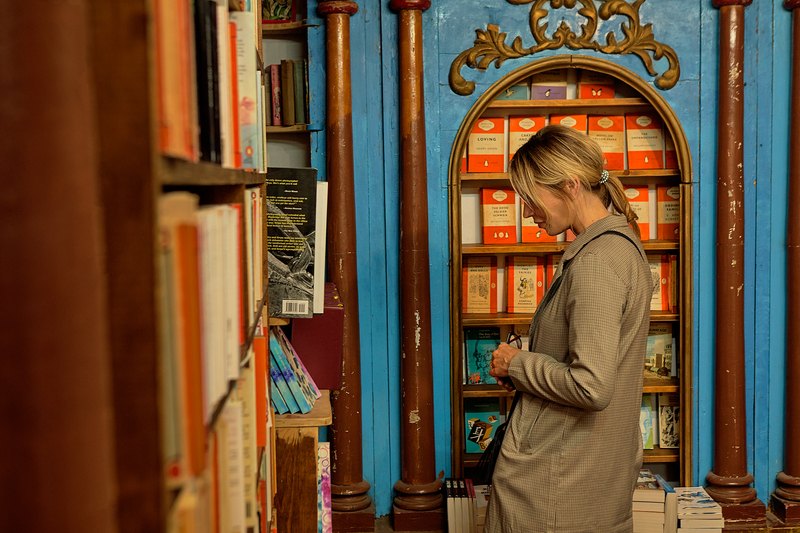 We followed her this year to Hay, the famous town in Wales devoted to bookstores, which grows three times its size during the annual Hay-On-Wye Festival. Naturally we wanted to learn more about Donna’s reading life. Here’s what she told us. When did you start collecting books? My first book, which I still own, is a beautiful edition of Sleeping Beauty. It was given to me by my school for placing first in my primary one class. I kept a few special copies of my favourite books from my childhood, but began in collecting books in earnest when I was in my early twenties. We were fortunate to have a library in our home, so naturally the books found their way to my home, and I also have a large collection of children’s books. How did you discover the “bookstagram” community? And how has that changed your book-collecting, and reading habits? I started following some bookstagram accounts on Instagram about a year ago. I was mesmerized by the colourful book collections available today. In the past, many book sets were leather-bound and dull. 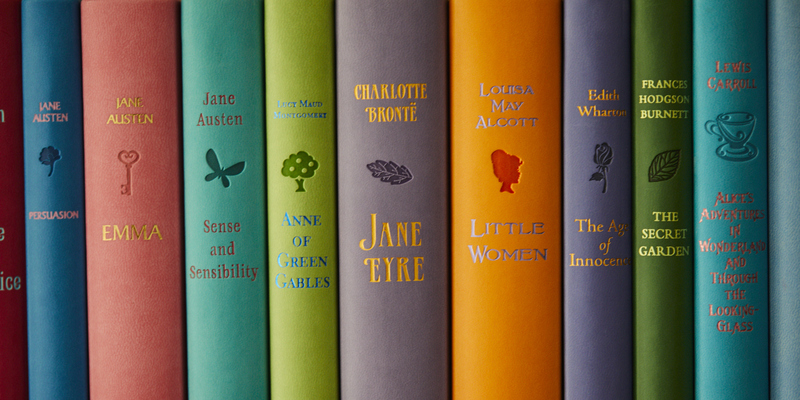 This new generation of books, in contrast, are the colours of the rainbow with covers designed by award-winning artists. They have interesting edges, silk bookmarks, embossing, gorgeous endpapers, and beautiful illustrations. Many of these new collections are the classics which I have always enjoyed so I am now rotating between a current read and a classic read. "I love the classics, especially Jane Austen." How do you decide what books you’re going to add to your collection? Is it a gut feeling, or do you strategize? I love the classics, especially Jane Austen, so I begun there. There are two current book collections that are considered the Mecca on bookstagram: the White’s Fine Editions and the Mr. Boddington Penguin Classics. I started my collecting with both of these collections, as they are out of print and difficult to find. I found these books online and in second-hand bookshops after diligent searching. What do you look for first when you walk into a bookshop? I generally head to the classics section and look for new collections or editions. I also visit the current section to see what is new and popular. In second-hand bookshop visits, I look for classics, children's books, poetry, books with interesting covers and books by Canadian authors. Is there a difference between what you might read digitally, and what you might read on good-old-fashioned paper? I travel a lot, so I like to keep a collection of current books and classics on my Kobo. I usually travel with a carry on, so keeping my case light is a priority and the Kobo allows me to have a variety of books to suit the mood while I’m away from home. I don’t sleep a lot, so I will also read my Kobo at night. When at home, I generally read a physical book. 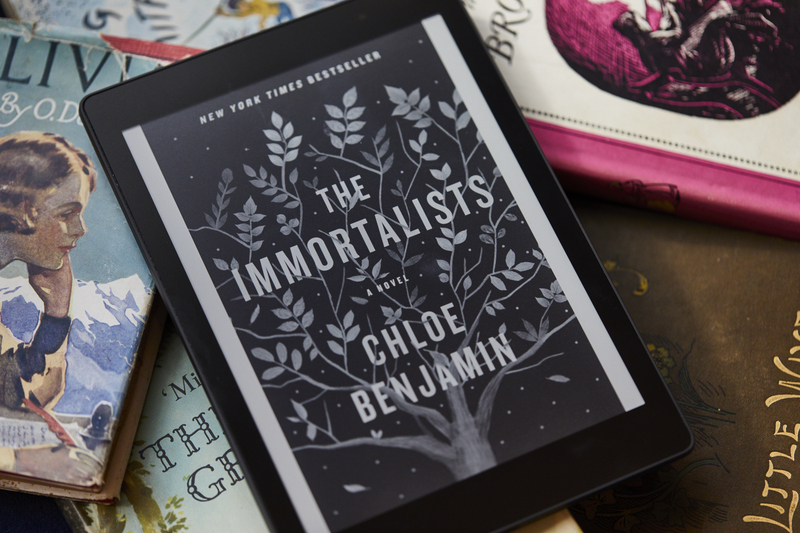 "I like to keep a collection of current books and classics on my Kobo." 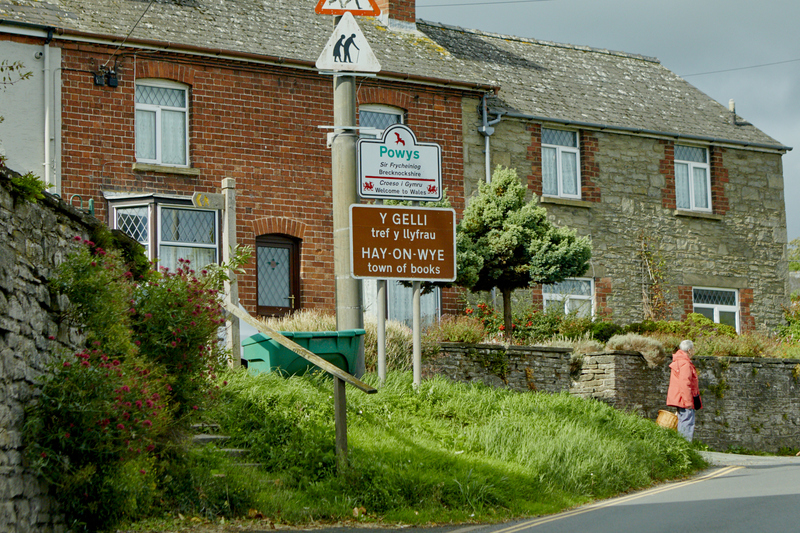 How did you hear about Hay-on-Wye? Tell us about your trip. I first learned about Hay-on-Wye through bookstagram. I saw a photo of an outdoor bookstore in Hay on the edge of a castle and I was mesmerized! I knew I had to visit. I travelled to Hay-on-Wye, which is on the border of Wales and England, with two friends and fellow book lovers, Kelly and Ted. Two trains and two taxi rides later, we arrived in Hay late morning on a sunny crisp fall day. The town is perfection, especially for bookworms. Gorgeous stone buildings, meandering streets, charming people, lovely shops, cafes and coffee shops, but most of all - bookstores! Hay specializes in secondhand and antiquarian bookshops, some carrying general stock and other specialty topics such as children’s, maps, mystery, poetry and music. "The town is perfection, especially for bookworms." Hay-on-Wye specializes in secondhand and antiquarian bookshops. Of the books you found in Hay, which are you most excited about? My favourite bookshop in Hay was Addyman Books. I follow their beautiful account on Instagram and we had coffee and a book chat with one of the owners, Anne Addyman. My favourite book purchase was a vintage copy of Little Wives by L.M. Alcott with gorgeous cover art purchased there. This will be the start of a new collection of vintage L.M. Alcott books! Donna is an avid book collector, travelling the world seeking particular editions of books she favours. 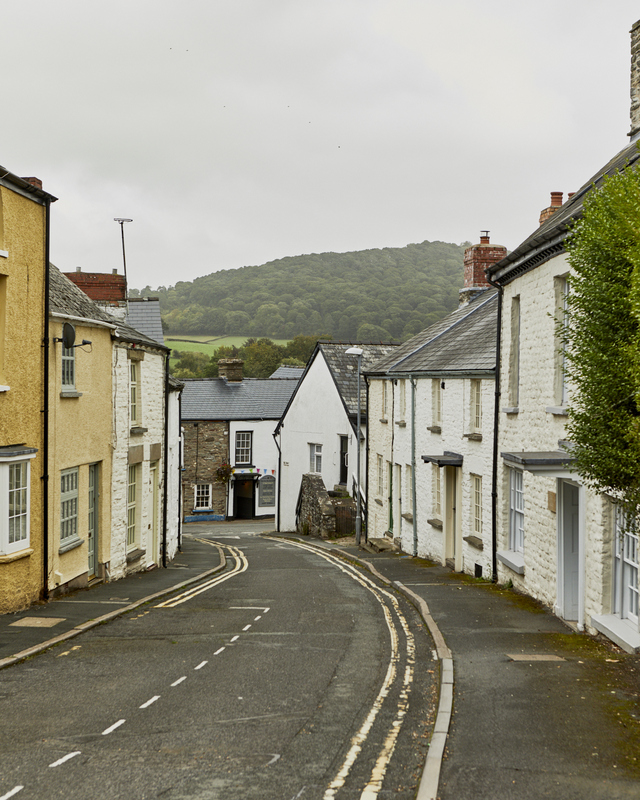 Hay-on-Wye is full of gorgeous stone buildings, meandering streets, and charming people. I am reading several books at the same time now; The Little Paris Bookshop in book version and The Kennedy Debutante and a reread of Anne of Green Gables on my Kobo. What are you looking forward to reading next, and why? My TBR (to-be-read) list includes My Name is Victoria by Lucy Worsley, Rebecca by Daphne du Maurier and After the Party by Cressida Connolly. What are your book recommendations of the moment? My favourite reads this year have been: Eleanor Oliphant is Completely Fine, The Alice Network, The Great Alone, State of Wonder and Shoe Dog. Is there one sentiment or quote from a favourite book that you find yourself coming back to, again and again?